Most people don’t understand how big a big accomplishment is to someone who’s facing any kind of disability, much less the agonizing chronic pain I’m fighting anytime I’m awake. Actually, even in my dreams I have pain now. Sleep can no longer be the hiding place it once was. It’s just no good when the nightmare zombies can catch you because you’re having a high pain day and can’t escape fast enough hobbling along on your cane! Back on the big accomplishments though because zombies eating the weakest members of the human herd is rather lame. My big accomplishment is cleaning. 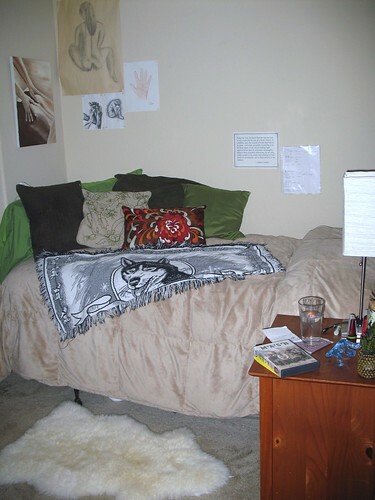 I’ve been living like a slob since the first wreck in 2006. I moved just before I was injured, so most of my stuff was still in boxes. 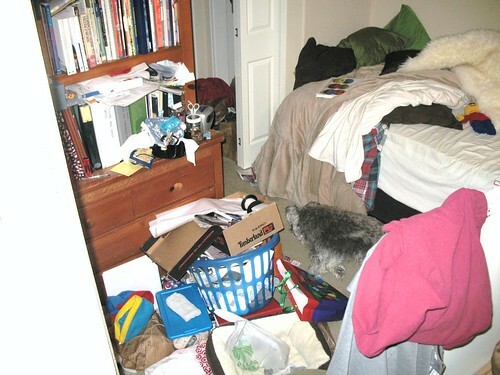 The place I lived before I moved was clean and obsessively organized, but very cramped and not in a very safe spot. Someone had tried to carjack me in my own parking lot the same week my landlord decided to raise my rent. That’s a lethal combination to anyone trying to keep their renters. My my pain hasn’t let up since and all my minor gains toward normalcy have been full of other requirements, like trying to graduate. Now, here are two photos from 12 days later. I cleaned everything. I even dusted, vacuumed, and steam cleaned the floors. I even washed the blankets on the bed, not just the sheets. How’s that for doing something BIG? I’ve still got a lot left to clean, and my pace has slowed drastically since my headache and nerve randomness has gotten worse, but I’m really proud of myself. 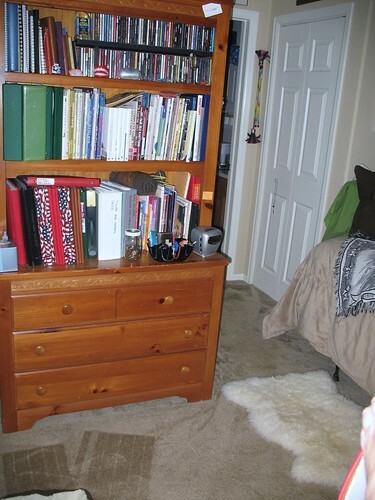 It’s not staying quite this spotless, but running the vacuum every other week looks like it should be possible. I can’t tell you how excited that makes me. Heck, I’ve even washed my sheets since this photo was taken on the 21st. I’m thinking once a week clean sheets is something everyone should have.